I have spent $49.29 this week, so I will have to wait until next week to take advantage of the Safeway frozen food offer. I want to make sure I am organized and have coupons for the frozen food I am getting, so I can spend as little as possible to get the $10 catalina coupon. I am going to head out to Target later today to get the free baby lotion, toothpaste, toothbrush and light bulbs with coupons. It is easy to spend a lot of money, even with sales and coupons, so you really need to set a limit and stick to it. Once you have hit your limit, you need to stop. There will always be more great deals out there, so if you need to pass up a few there will always be more waiting in the future. 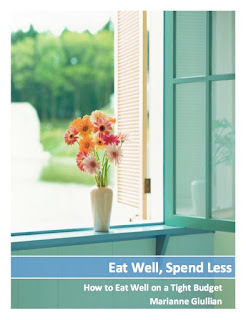 I also think it is wise to set a limit on how much time you spend organizing, finding coupons and shopping. You don't want it to take over the more important things in life. By setting limits, if forces you to stop as well as to be wiser with your time and money because you know when the money is gone then you are done. It takes time to build up your pantry, so just be patient and realize that it will happen if you just keep doing a little at a time.